Mentors can be some of the most intriguing characters in fiction as they are often deeply layered and, at times, seem counterintuitive. This week we’re joined by ITW Members Lisa de Nikolits, Lisa Preston, Carole Nelson Douglas, Frank Zafiro, Lynn Cahoon and Les Edgerton as they discuss their favorite fictional mentors: Who is your favorite fictional mentor? What is foremost in your mind as you create your mentor characters? Scroll down to the “comments” section to follow along! Carole Nelson Douglas’s 65 novels include national bestsellers in mystery, high fantasy and Noir urban fantasy. She was the first woman to spin-off a Sherlockian series and first author to make a Canon woman a protagonist, Irene Adler. Good Night, Mr. Holmes is a New York Times Notable Book of the Year. Her hard-boiled Midnight Louie feline PI character (a bow to Sam Spade etc.) starts his third series with Absinthe Without Leave and 33 books in print. Douglas short stories appear in many anthologies and several “Best of Year” collections, and she’s won many writing awards. Frank Zafiro was a police officer in Spokane, Washington, from 1993 to 2013. He retired as a captain. He is the author of numerous crime novels, including the River City novels and the Stefan Kopriva series. He lives in Redmond, Oregon, with his wife Kristi, dogs Richie and Wiley, and a very self-assured cat named Pasta. He is an avid hockey fan and a tortured guitarist. Lisa Preston turned to writing after careers as an Alaskan police sergeant and a fire department paramedic. Booklist praised her debut psychological thriller, Orchids and Stone (Thomas & Mercer, 2016), as riveting. Publisher’s Weekly called her psychological suspense, The Measure of the Moon (Thomas & Mercer, 2017), gripping. She runs and rides on the Olympic Peninsula, west of Seattle. Originally from South Africa, Lisa de Nikolits has lived in Canada since 2000. She has a Bachelor of Arts in English Literature and Philosophy and has lived in the U.S.A., Australia and Britain. No Fury Like That, her most recently published work, is her seventh novel. It will be published in Italian, under the title Una furia dell’altro mondo, in 2019. Previous works include: The Hungry Mirror (winner 2011 IPPY Gold Medal); West of Wawa (winner 2012 IPPY Silver Medal); A Glittering Chaos (winner 2016 Bronze IPPY Medal); The Witchdoctor’s Bones; Between The Cracks She Fell (winner 2016 for Contemporary Fiction); and The Nearly Girl. Lisa lives and writes in Toronto. Her ninth novel, The Occult Persuasion and the Anarchist’s Solution is forthcoming in 2019. Lynn Cahoon is the author of the New York Times and USA Today best-selling Tourist Trap cozy mystery series. GUIDEBOOK TO MURDER, book 1 of the series, won the Reader’s Crown for Mystery Fiction. She also pens the Cat Latimer series available in mass market paperback with SLAY IN CHARACTER coming in late 2018. In addition to releasing WHO MOVED MY GOAT CHEESE in March as part of the new Farm to Fork series, KILLER GREEN TOMATOES released July 3rd, 2018. Les Edgerton is a full-time writer. He is an ex-con, having served two years at Pendleton Reformatory on a 2-5 sentence for second-degree burglary back in the late sixties. His work has been nominated for or been awarded: the Pushcart Prize, O. Henry Award, PEN/Faulkner Award, Derringer Award, Spinetingler Magazine Thriller of the Year, Jesse Jones Book Award, Edgar Allan Poe Award (short story category), Violet Crown Book Award, and others. Favorite fictional mentor? I’m reading a lot of books where the mentor is either here and gone (think Obi in Star Wars) so that the hero has to learn to think on their own. Or an anti-mentor (like kin American Gods) where the mentor character turns into the enemy the hero has to out wit. Maybe mentors are being held off because we feel that the character needs to learn more on their own? In my own writing, I don’t feel like I have a mentor character (at least not in SLAY). The main characters are more equal in learning process and have a full life, not just the reflection of the hero. I’m interested to hear what the rest of the crew thinks this week. Lynn, I like your comment on anti-mentors, as in “American Gods”, when the trusted mentor turns out to have a hidden agenda. That reminds me of left-at-the-altar Miss Havisham in Dicken’s “Great Expectations”. who seems to be orphan Pip’s benefactor but raises her beautiful adopted daughter to attract and then spurn him, and all men. Hi everyone! I’m not sure if this answers the question but I love writers who write about writing. It inspires and encourages me. Writing is an obsessive desire, isn’t that so? A consuming love affair that at times is requited, while at others, you are simply one of the many broken-hearted, wandering the streets like The Walking Dead. I get great comfort from reading quotes likes these. I hope to hear your thoughts! Lynn, you went straight for one of my first thoughts, too, in Obi-Wan. But then I realized my favorite mentor (with apologies to Mr. Miyagi) is Gandalf the Grey. Sure, he’s a little secretive and manipulative, but he does mentor the hell out of both Bilbo and Frodo (not to mention Aragorn, at least as I read it). Like Obi-Wan, he’s there for a good part of the journey and then departs… at least for a while. While George R.R. Martin has mastered the “no character is safe” trade, Tolkien had me in shocked tears as a thirteen year old when Gandalf plunged into the depths of Moria with that Balrog. In my own River City series, I think the most consistent mentor is veteran police officer Thomas Chisolm. He is one of the few characters I based on an actual person, and both the real and fictional versions provide guidance to younger officers without being overbearing or patronizing. Leadership comes in many forms, and there is a certain value to a line member with experience providing peer leadership to younger cops. This was my experience in my career, and so I wanted to reflect that in my procedurals. Thank you Frank! Yes, I loved Stephen King’s On Writing too! I am such a great fan of the King – I lugged his books all the way from SA to Australia and then to Canada! When it comes to my writing, I am a great fan of the anti-mentor as I find they’re much more fun to write! This is a bit of a segue and perhaps another discussion, but how we are inspired by actual people is also fascinating! I don’t think I’ve ever used an actual person (whole) in a book, but I certainly do like to borrow idiosyncrasies and nasty habits and things! I’m a bit of a magpie that way – a magpie cross squirrel – I see shiny bits that I can use and then I store them away for future use, usually to create a psychotic anti-mentor! Hi gang–this Lisa chiming in with thoughts of Craig Johnson’s Longmire series. 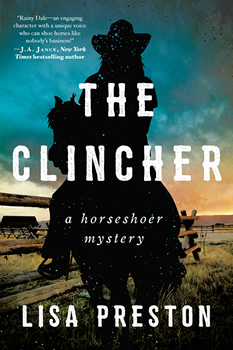 His main character (fourteen or fifteen novels now) was mentored as a deputy by the on-his-way-out sheriff, then of course, Longmire became the sheriff and began to mentor young Vic. Series can be terrific that way. I remember the original Leaphorn books, when Chee was a rookie, and now with Anne writing her dad’s series, Chee is experienced. In my new series, the protagonist is quite young, as is her love interest, and they are basically adopting a set of local parents in the second novel, while she has another person to look up to as a professional mentor. Yes! Then there’s Logan McRae in Stuart MacBride’s Blood Road – he’s been mentored by Roberta Steel for years (or hilariously harassed, depending on your point of view!) and he’s overtaken her. Well, she did get into hot water… The Blood Road was such a great read! Then there’s Comoran Strike mentoring Robin Ellacott in Robert Galbraith’s Lethal White, which makes for a great story – and lots of sexual tension! To be honest, I’ve very little experience with mentors, either in real life or in fiction. Probably the closest I’ve come to in fiction was my character Bud in my novel, JUST LIKE THAT. This was a semiautobiographical novel and both Bud and many of the experiences in that work were modeled after real life experiences. Bud (his real name) and I were cellmates back in prison at Pendleton and he was the older guy who took me under his wing and had my back during our time behind bars. Bud taught me that to survive you had to be fearless in a fight and never show weakness. He very literally saved my life several times. Hi Les! That sounds fascinating and very scary. I’ve often wondered what the prison experience would be like. I’ll be sure to check out your book! Have you read Drugstore Cowboy? I loved the movie so much and I still want to read the book by James Fogle who I believe was in an out of prison his whole life. I’ve often thought of trying my hand at different jobs, to just get the experience, to have something new to write about. Someone at work (I’m an art director and graphic designer by day) asked me if I take home the experiences of what happens in our office and write about them. When I told her what I was actually writing about, she looked at me in horror and backed away! I don’t want to say what I’m writing about because it’s a novel in progress and I’m really not sure if it’s actually going anywhere… that awful feeling (!) but for sure, I weave real life scenarios into my work although they’re mere ingredients – like flour is only flour until it’s baked and becomes a cake. I think we see someone’s true character (whether a real person or fictional) in how they treat people weaker than themselves (by whatever definition of strength is relevant) or how they treat people who offer them no advantage. Unfortunately, in my police career, I’ve seen examples of both on both sides of the law. The only mentor I can recall in fiction was the Sherlock Holmes and Watson relationship and that’s not a good example as that was a series and therefore not subject to the rules or conventions of a stand-alone novel. Meaning, a series is akin to a TV series in that the protagonist never undergoes a character arc and change. More akin to short stories than novels. Just as in something like “Cheers” each week, Sam learns a small lesson, which is totally forgotten the next week’s episode when he reverts to the same ol’ womanizing Sam. Holmes and Watson do the same. In each novel, they are once again the same characters with the same relationship they had in the preceding novel. Same with the Charlie Chan series. I imagine there are mentor characters in fiction; alas, I can’t seem to come up with any. That’s an interesting point, Les! Sometimes I’m not sure how much a character can really change… Readers (and publishers) want to see ‘character development and growth’ and it’s true that this is an integral part of any story. And I work hard at making this happen but it usually happens more by a life-changing event than a result of being mentored. Generally, something very bad needs to happen to my protagonist (or they need to face some incredibly challenging event) following which they re-evaluate their lives and become ‘better’ people. Really enjoying this discussion and I’m wondering if there’s another category of mentors, especially in crime fiction – that of main character as (reluctant) mentor! Dear Tess, the reluctant mentor is an excellent mention – and Morse for sure! Morse is wonderful! I haven’t read Ann Cleeves’ work which is amazing since she has done so much. Sometimes it’s daunting and nearly unbelievable how many astoundingly great writers there are out there and one hasn’t even heard of them. But roundtables like this are great for learning about new reads! When watching Scandinavian TV series, there seem to a lot of reluctant mentors, although they’re more like loners forced into partner situations that they hate which creates an interesting dynamic. Although at times, that dynamic is stereotypical and predictable. Lisa D’s point about revealing a character by how he treats others is a good one. Readers should be able to infer, and the realm of conflict offers plenty of room for nuance. The reluctant mentor, Terry, makes me think of the reluctant hero trope. When done well, it really adds something to the story structure. Lisa, Morse is a great example of the mentor theme. He’s an introvert and therefore a reluctant (or just grumpy) mentor when he is older and the focus of the books and TV series, but we get to see him being mentored in the very well done “Endeavor” series. And many women are his mentors all his life, not just the older detective when he was young. That awkward inner lifelong conflict enriches the character and makes the reader/viewer root for him. Agreed, Carole. And enriching the character goes a long way to three-D structure. The aspect of a character changing is interesting, too, tho as Les points out, so often then a character, like a real person reverts. I’m wondering if it’s the balance between heroic and vulnerable that makes a mentor character so powerful. Often these people can be unlikeable and yet they have foibles and frailties that make us respect and admire them. And they are so brilliant at what they do, and focussed, above all else. Often, they’re not a good fit with the real world and they struggle to be a part of it. Looking at my most interesting fictional mentors, Lisa D., I see a struggle between their rascally self-aggrandizing, even exploitative, side and a human streak. That may be because they’re often powerful men my female protagonist has a wary, but necessary relationship with. Take Hector Nightwine, CSI TV show producer in my Las Vegas-set satirical noir urban fantasy series. The franchise has expanded to “CSI Bismarck”, North Dakota, no less. Hector is a man of size with a charming yet ghoulish mindset, evoking Welles and Wolfe. Still, he rents her a charming cottage and employs her as an investigator from time to time. So does a vampire Howard Hughes, life and fortune prolonged. Admittedly this genre is larger than life. Which brings me to the decidedly treacherous mentor in the classic book and movie “Laura”. I quote Wikipedia: “Waldo Lydecker (Clifton Webb), an imperious, effete dandy, who relates how he met,Laura and became her mentor.” He also became jealous, possessive and homicidal.Interestingly, in the book he was a man of size (therefore presumed ineligible for a romantic relationship with the beautiful young Laura), but in the film played by the imperially slim Webb with a homosexual vibe (implied in the book). If this man couldn’t have what he’d made of her, no one would. Mentor as mad manipulator. It’s interesting to think of Raymond Burr in the part. Dear Carole, I love that so much, mentor as man manipulator! Truly manipulative characters are so evil and fascinating and convincing. I must say, a “Las Vegas-set satirical noir urban fantasy series” sounds right up my alley, I’ll be sure to check it out! And a genre larger than life is a wonderful way to put it. That’s something I try very hard to deliver, with each book. Lisa D., I heartily agree that manipulative people are the worst villains in real life and fiction. Psychopaths like that are great at concealing their true agendas. I had to work with one for years, and recognized of lot of her antics in “Gone Girl”. I’ve always blended genres in my novels, so summaries can be confounding! Many other writers genre-blend too. I’ve always loved that Thomas Harris put one small unreal horror element in his He said Hannibal Lecter had “maroon” eyes, which perfectly “creeped up” the character. Maroon eyes are not literally possible in real life. But the film poster for “Silence of the Lambs” showed Jodi Foster’s face with maroon eyes! And Hannibal acted as a pseudo-mentor to the Clarice Starling character. Talk about a mad manipulative mentor. We’re at the end of our discussion time and mentioning Harris and Hannibal is a perfect closure for me! I’ve enjoyed all the panelists’ insights. Thank you all. Sorry for the disconnect in my reply. The computer ate up some of my text and I thought I had restored it all. March 3 – 9: “With the huge numbers of books published, is it possible to identify the “best”?